Alright parents, back to school time is just around the corner, and we’re sure you’re thrilled! But while you’re running from store to store trying to check off your kids’ school supply list, make sure you add in one more stop. 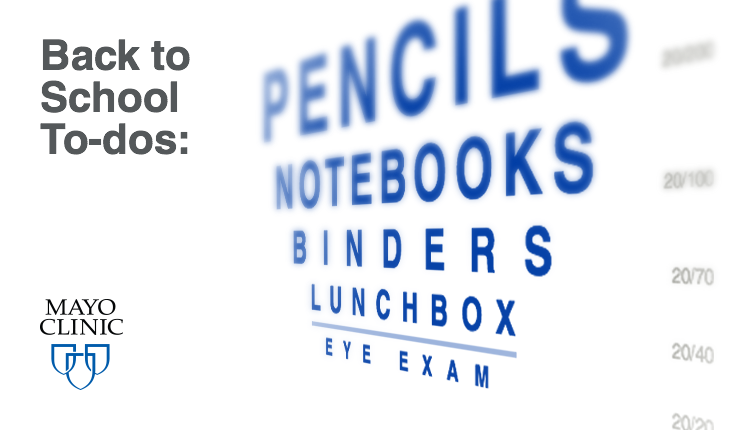 August is Children’s Eye Health and Safety Awareness Month, so there’s no better time to have your kids eyes checked before the first day of school. For eye safety tips, click here. Alright parents, back to school time is just around the corner, and we’re sure you’re thrilled.